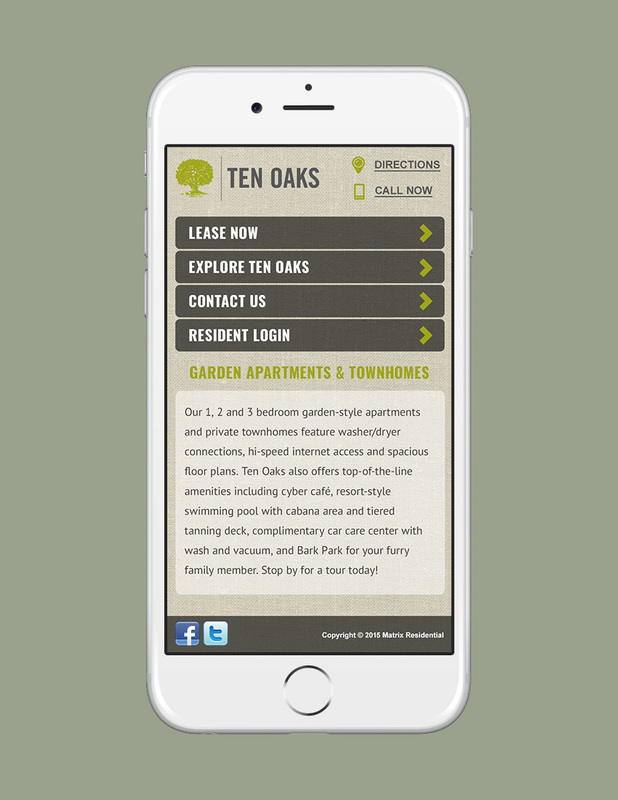 Website design for Ten Oaks Apartments in Lawrenceville, GA. The property is branded as an elegant, unique, high-end apartment community. All of the photos on the website are given an antique vintage look, which adds to the drama of the color scheme and styling. The website also featured a separate mobile site design.